Ever thought of causing destruction through the life of an animal? If yes, then this is THE game for you! The top animal simulation game you can ever find. And guess what? It’s not a bird, it’s not a lion; in fact IT’S A GOAT POWER! IT IS POWER GOAT SIM! 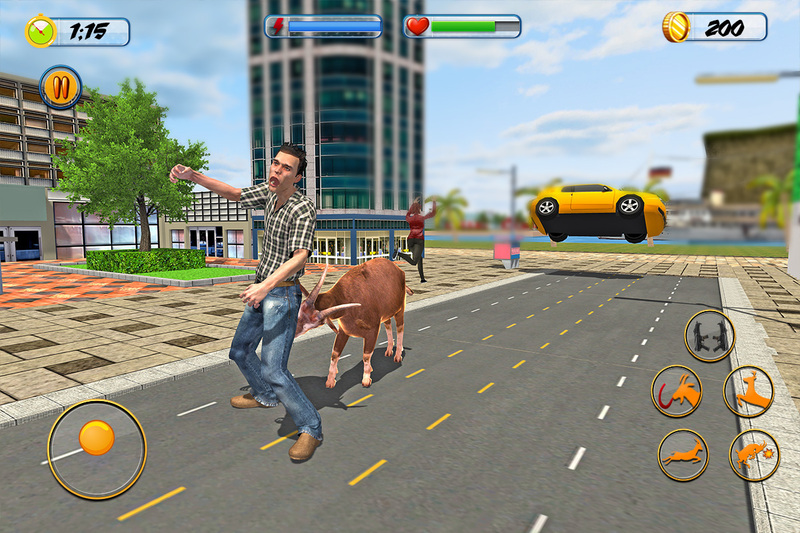 Power Goat Sim is the ‘real MVG’ – Most Valuable Game. With its classical 3D effects, this is the one of a kind simulation and rampage experience you can ever have. Take your opportunity to go wild in the city and bring out the greatest smasher in you. 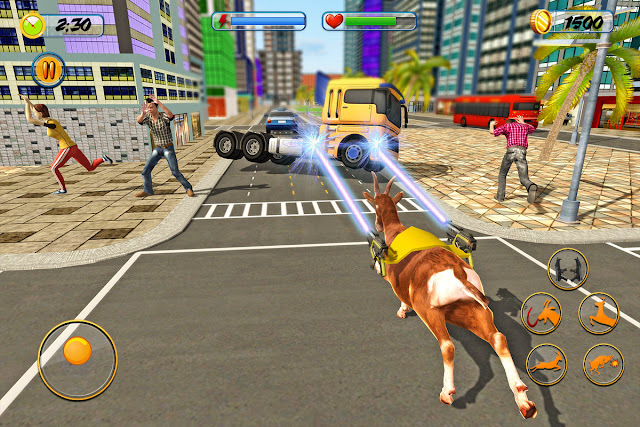 Power Goat Sim intends to knock down the city with its destructive tactics. It’s time to take revenge! The gameplay sets your goat in the most realistic looking urban environment with some super cool features to play along and complete your mission in the city i.e. DESTRUCTION. Break into offices, take power of different vehicles, crack into people’s homes and SMASH anything you want to. The more smashes, the higher you score. Jam packed with absolutely realistic looking HD graphics, the user can have a unique experience of goat simulation. 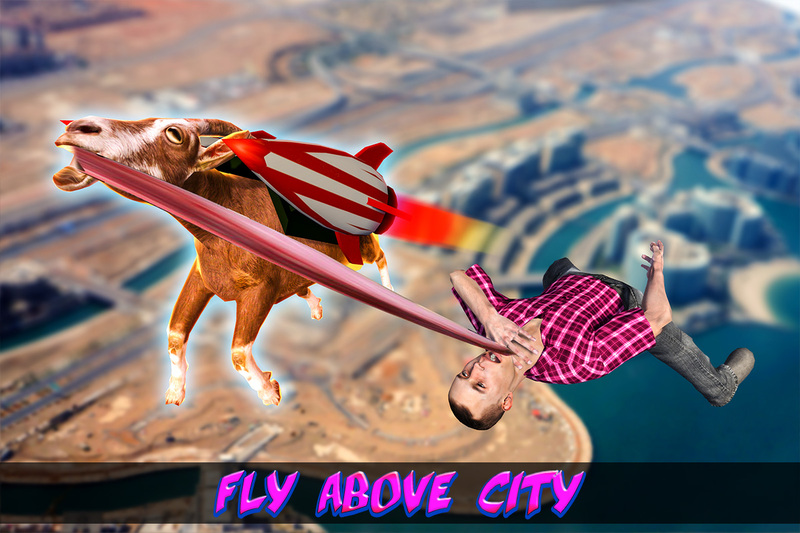 The amazing sound effects, smooth controls to move, run or attack, variety of cars to take control of, and the ability of take a flight just adds onto the exceptional gameplay experience of the ultimate power goat sim rampage. - The power goat can even FLY! Do you think that you can be the MVP of this wonderful game? Have you got the skills to achieve your mission? Can you cause the massive destruction in a city as a power goat sim? Prove it NOW! 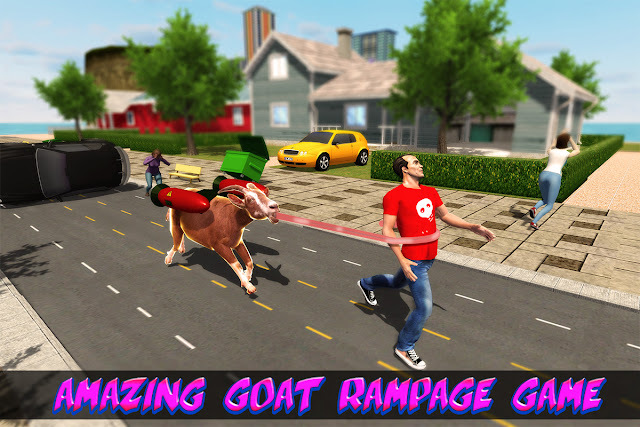 Download Goat Simulator NOW and prove yourself as the real MVP!